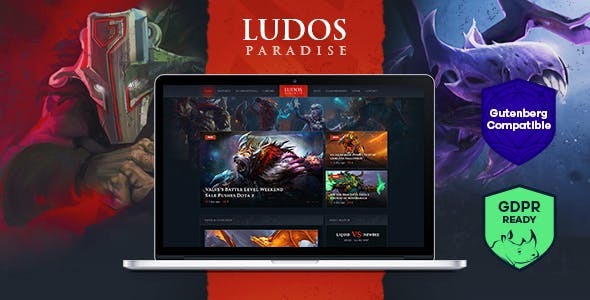 Ludos Paradise – ultimate, multi-purpose Gaming WordPress theme. It is absolutely great for your clan or team page, gaming blog, gaming news, html5 games, lifestyle, broadcats, twitch streams. Also for players stats, reviews, tabletop, interviews, community, gameplay, clan, team, PC games, action, acrade, console, shooting, survival, action-adventure, adventure, role-playing, MMORPG, tactical RPG, simulation, wargame, 4X game, strategy, vehicle and life simulation, sports, racing, MMO, casual, mobile, party, logic, trivia, board, educational, Christian game. Furthermore it works for Blog about Sony, Valve, Steam, Apple, Microsoft, Nintendo, PlayStation, Xbox One. Or even something specialized for Dota/Dota 2 and other esports like Counter-Strike (CS), Appex, Dota Chess, Overwatch, league of legends, Minecraft, World of Tanks, Battleships. The theme is compatible with WPBakery page builder (ex Visual Composer). It allows to build the pages with no coding skills required. Furthermore it works with M Chart, Contact Form 7, Essential Grid & Slider Revolution to make your website memorable. 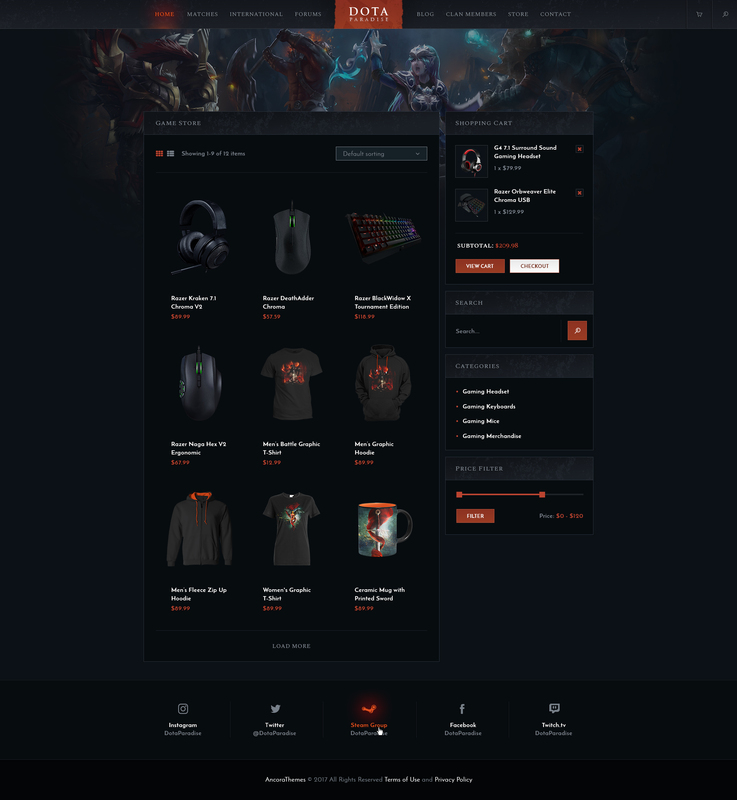 If you want to build a forum for gaming fans the theme is compatible with bbPress, BuddyPress.